Cairo, Egypt: JLL, the world’s leading real estate investment and advisory firm, today released its Q3 2016 Cairo Real Estate overview report which analyses factors affecting the office, residential, retail and hotel sectors. The latest report discusses the potential effects of the IMF US$12bn credit facility which could pave the way for Egypt’s potential economic growth, particularly in the real estate market. The Central Bank of Egypt (CBE) is expected to use the first tranche of the loan to manage a 30% devaluation of the currency. The second round of expected currency devaluation should increase opportunities for foreign investors and Egyptian expats in the residential real estate market, despite the likely increase in residential prices as a result of higher import costs. Ayman Sami, Country Head of Egypt, JLL, commented saying: “We have witnessed strong demand this quarter in residential sales, especially resale units as local investors turn to real estate to mitigate currency risk ahead of the expected devaluation in October and the absence of alternative investment options. Although pending approval from the IMF Executive Board, the IMF loan mandates the government to also secure additional foreign funds and an economic reform program. These additional funds and structural reforms including the VAT law have already been passed. Corporates are actually set to benefit from the availability of these foreign funds to important materials and the easing of capital restrictions. “Packaged with currency devaluation the government’s reform changes will actually have a positive long term effect on most asset classes, particularly office and hotels. In a sign of market confidence Cairo’s hotel supply was boosted this quarter. The country is now expected to attract even more foreign tourists with the expected second round of currency devaluation.” Ayman Sami, country head of Egypt, JLL, added. The currency devaluation and economic reforms are also a major positive for the hotel sector, as Cairo becomes more affordable to foreign visitors. This quarter saw the completion of the Westin Golf Resort and Spa in New Cairo adding 128 rooms to Cairo’s hotel supply. Hilton Hotels & Resorts also announced plans to add five new properties to its existing portfolio in Egypt. Retail is the major loser from the currency devaluation with the retail market facing negative impacts due to reduced consumer purchasing power due to currency movements, higher import prices, VAT and subsidy costs. Office: Cairo’s office supply remained stable at 941,000 sq m of Gross Leasable Area (GLA), with no notable completions in Q3. The market has witnessed increased demand for Grade A office space, mainly driven by relocations of tenants to better quality office space in more convenient locations. New entrants to the market remain limited. Vacancy rates remained more or less stable throughout the year, signalling limited office activity across the market. New Cairo continues to be the most sort after destination for office occupiers, with activity in 6th October (mainly Smart Village) being very limited over the past quarter. Although vacancy rates remain high (at 25%) they have trended down over recent quarters, with this regarded as positive for this segment. The expected currency devaluation in October, coupled with an inflow of foreign currency and the implementation of structural reforms is likely to have a positive impact over the medium term. The short term impact of the VAT will however be negative, with pressure on companies pricing and margins; on balance, the gains from the availability of foreign currency and implementation of the reforms are expected to outweigh the negative effects over the medium term. Residential: This quarter there was increased interest in residential sales, especially resale units, ahead of the expected currency devaluation in October. The third quarter saw the completion of several new projects across both 6th October and New Cairo. In 6th October, significant deliveries were recorded in Ashgar City, with additional apartment deliveries in Grand Heights. In New Cairo, Palm Hills’ Village Garden Katameya, Mivida and Eastown were the main contributors to this quarter’s supply. Average sales prices for both apartments and villas increased over Q3, as home buyers and investors showed increased activity. This trend was exacerbated by increased demand from speculators ahead of the expected currency devaluation in October. The most notable increase was for villas in New Cairo, where developers have been offering smaller and more affordable villas into the market (such as town and twin houses). On a Y-O-Y basis, apartments have seen an increase in prices in US$ terms, despite the 15% currency devaluation. Sale prices for villas (in US$) remained flat in New Cairo, whilst decreasing by 5% in 6th October with New Cairo benefitting from the larger variety of villa offerings. Retail: The currency devaluation and implementation of the VAT negatively impacted the retail market during Q3. The combination of higher taxes and the further devaluation of the currency have reduced retail spending and resulted in a shift in demand to locally produced products. No additional retail space was completed in Q3, with current stock remaining at 1.3 million sq m. Capital Mall (45,000 sq m) located in Heliopolis was expected to be completed this quarter but has been delayed to 2017, resulting in no retail developments now scheduled for completion in the final quarter of 2016. As with the office market, any recovery in the retail sector in 2017 will be dependent upon the extent to which the structural reforms introduced by the government and enforced by the IMF succeed in stabilizing the currency and increasing access to foreign currency. Hotels: Q3 2016 saw the completion of the New Westin Golf Resort and Spa located in New Cairo adding 128 rooms to Cairo’s hotel supply. 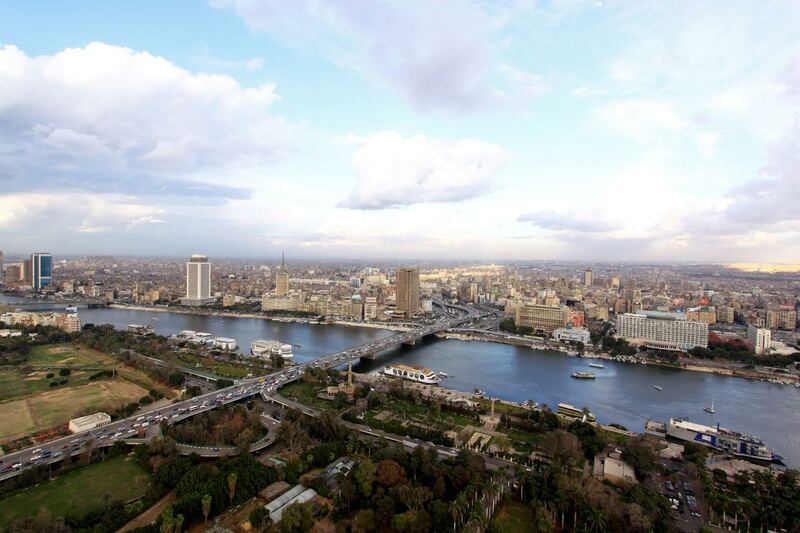 In Q4 2016, a further 295 rooms will be added with the opening of Steigenberger Tahrir Square. Construction delays have resulted in the opening of the St. Regis and Radisson Blu Nasr City being shifted from 2016 into 2017. Occupancy rates (59% in year to August) remain low compared to other regional markets but have increased from the same period of 2015 as the sector slowly recovers from recent security concerns. The financial performance of Cairo hotels has been relatively stable throughout 2016 with ADR standing at USD 106 over the year to August (up by just 1% from the same period in 2015). As occupancy rates show signs of sustainable improvement, we expect hotels to increase their rates and achieve a higher RevPAR in 2017. Currency devaluation and further improvements to airport security are likely to stimulate the continued recovery of the tourism industry. The introduction of VAT will increase the price of hotel services, but this impost is expected to be more than offset by the continued devaluation in the EGP, resulting in Egypt becoming a more competitive destination for leisure travelers and attracting additional investment in the hospitality sector. This diagram illustrates where JLL estimates each prime market is within its individual rental cycle at the end of the relevant quarter. *Hotel clock reflects the movement of RevPAR.